Information is provided for reference, convienence and expidited handling of recommended products. Products listed are not stocked, shipped or warrantied by Litecom. 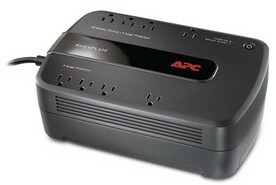 We highly recommend installing on all equipment a good UPS Battery backup unit. Litecom requires battery backup units on all installed network equipment. This adds protection, for brown out and outtage situations. For added battery backup time, add the second battery pack, which connects to the back of the BR1500G. You can buy the BR1500G and BR24BPG as a combo pack as well. BUY ONLY GENUINE APC PRODUCTS! We recommend a surge protector for your equipment. Specifically one with a status light. If the light is out, you have suffered a fault, and hopefully averted an equipment damage. 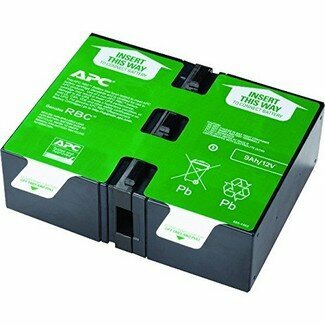 We recommend installing this on the wall outlet supplying your UPS Battery Backup unit. If the light is out, it has performed its job function, and should be replaced with a new unit. 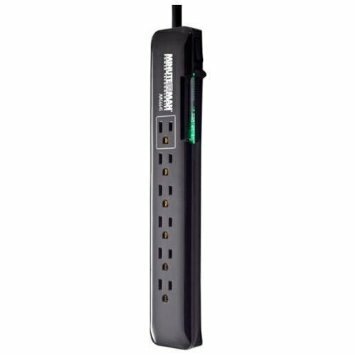 We recommend a surge protector power strip for your equipment. Specifically one with a status light. If the light is out, you have suffered a fault, and hopefully averted an equipment damage. You can use this to power the equipment from the UPS Battery Backup. The Fluke Networks AirCheck Wi-Fi tester is a simple-to-use, handheld wireless tester that allows users to quickly verify and troubleshoot 802.11 a/b/g/n/ac network availability, connectivity, and security all in a dedicated, handheld tool. Its intuitive design and standardized AutoTest makes it simple for anyone to quickly master AirCheck. Instant power-up, automated testing, and quick access to more detailed information, so you can close trouble tickets faster--making technicians and users alike more productive. Easily manage test results and documentation using AirCheck Manager software. From start to finish, AirCheck helps take the guesswork out of everyday wireless troubleshooting. Minimize expensive wireless LAN performance impact due to RF interference sources by performing simultaneous spectrum analysis in a single walk through. Customize reports enabling efficient hand over of results based on WLAN design/application requirements. Confidently certify the network for any design/application requirements using customer-ready pass/fail assessment reports.